When Josh posted earlier this month on his bake of the Pan Maggiore I was instantly taken with it and decided right then and there to put it on my immediate short list of breads to try. Finally this week I was able to get a mix of it done and baked. 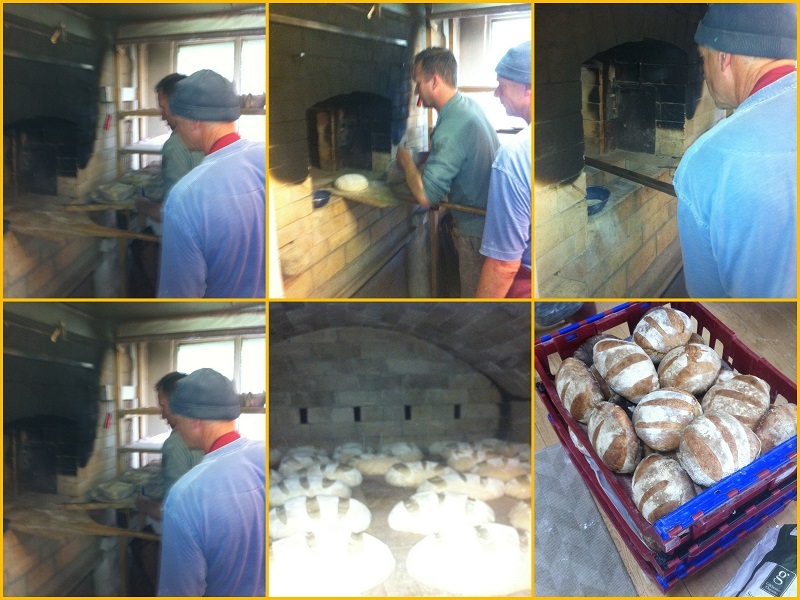 If the loaf that came out my oven is like or close to Josh's version it's quite clear to me why he and his customers regard it so highly. 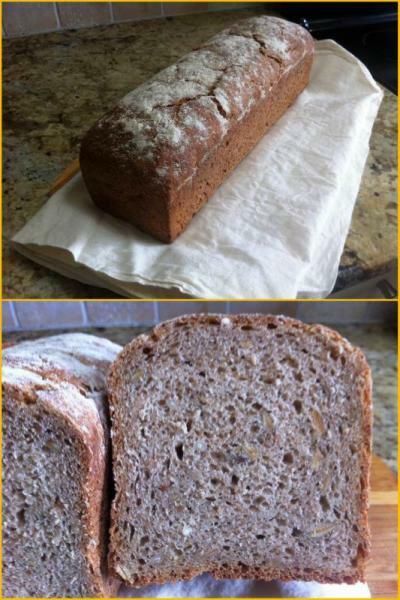 I love these country style breads with combinations of rye and whole wheat but this is a standout in my book and has already been assigned a permanent spot in the old recipe folder. I copied the formula and procedure that Josh posted on his reply to dabrownman, taking the ingredient numbers given and plugging them into my formula scaler/spreadsheet to get a clear picture of the percentages. Normally at this point I'm tempted to make changes to suit my own preferences but my intention from the outset was to try to make Josh's bread, or at least a close cousin, and not my own. There are some minor differences between the formula I used and the one given in that I only keep a 100%+ rye starter and some of the percentages have been rounded up or increased slightly but that's about it I think. As far as following the procedure I went right along with what had been posted regarding times and temperatures, doing a 1 hour autolyse, holding back 10% of water for bassinage, doing the stretch and folds every 40 minutes over 4 hours BF, shaping and finally retarding for just a little over 12 hours. Bake profile was identical to Josh's, same heat and time but I did leave the loaf on the stone with the oven off, door ajar, for 15 minutes. Unfortunately I didn't have the fresh ground flours that Josh uses, which I'm sure makes a noticeable difference in fermentation and flavour but I'm quite happy with the results I did manage to achieve on both those counts. The flavour of this bread is excellent, the rye and wheat components nicely balanced and the two leavens contributing what I'd call a mid to high tang to the overall. What I like most about this bread is how moist and supple the crumb is, carrying the flavour evenly throughout from first to last bite, and I expect the loaf will retain it's moisture over several days, assuming it lasts that long. In the meantime I'm looking forward to tomorrow's sandwiches featuring this lovely bread. 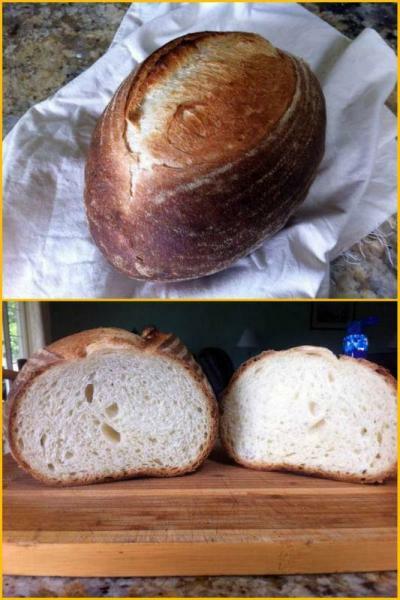 Many thanks to Josh for sharing his formula and procedure for the Pan Maggiore, it's a keeper! For anyone wanting to make a larger or smaller loaf than the one in the formula below click *here* for an editable version. Hold back 10% of water for bassinage. Autolyse the flours and water for 1 hour. DDT-76F. or until dough is moderately developed and cohesive. BF for 4 hours, s&f every 40 min, shape then bulk retard overnight. A couple of weeks ago I was reading through some pamphlets and brochures that my friend breadsong had picked up at the IBIE Expo in Las Vegas this past October and had thoughtfully sent on to me to have a look at. One of the brochures, put out by the California Raisin Marketing Board, had a number of interesting looking recipes in it, all having raisin paste as one of the ingredients in the mix, with a recipe submitted by Craig Ponsford looking particularly good. 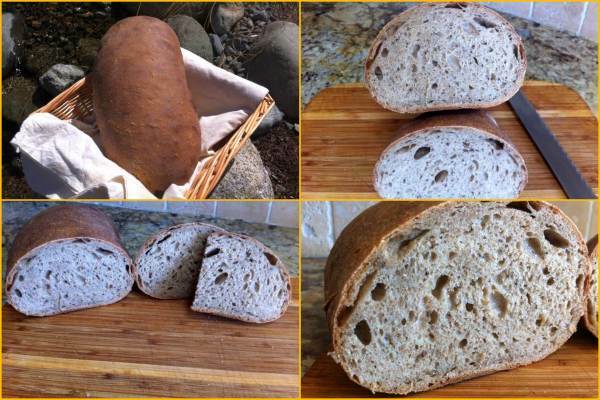 The bread, a Pumpernickel, used raisin paste, whole macerated raisins, rye sour (as well as instant yeast) along with the other usual ingredients one finds in a Pumpernickel type bread. Well OK, this sounds tasty, lets give it a try I thought. Other than the raisin paste, all the other ingredients I already had in stock but figured I could use my meat grinder to make a raisin paste with, instead of trying to track down a commercial product. With a pass through the coarse plate and another through the fine plate, the meat grinder did a fine job of rendering the raisins and in a few minutes I had a thick, dark mass of paste to use in the mix. I followed Mr. Ponsford's formula, sticking to his percentages and procedure with the exception of including the instant yeast he calls for, wanting to use only a natural leaven for the mix. The loaf came out of the oven looking pretty good I thought but I wasn't thrilled with the texture or the flavour. I'm not sure if I made an error somewhere along the line or if this was the way the bread was meant to be. Whatever the case I decided to have another go at it but with a completely different approach from the original formula and procedure. No doubt that in Ponsford's skillful hands this is a very good loaf of bread, but my first attempt at making it convinced me I needed to try another path to arrive at the flavour I expect from a Pumpernickel type bread. Still, I liked the idea of including raisin flavour in mix, feeling the sweet/sour combination held a lot of promise for the very complex and deep flavours I associate with Pumpernickel. 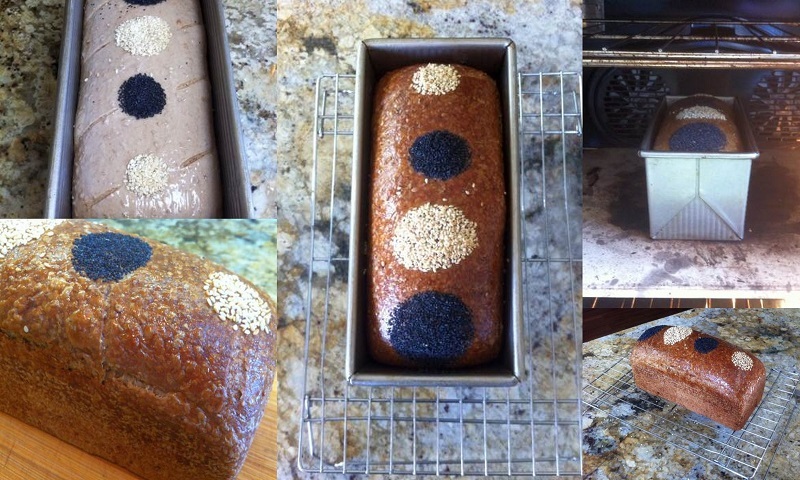 Having made Jeffrey Hamelman's Horst Bandel Black Pumpernickel a few times in the past and enjoying the flavours that result from the long descending bake that he uses, that seemed like a good starting point for the next bake. 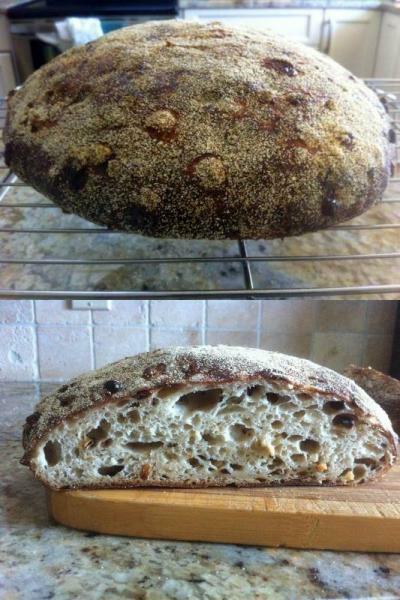 With Ponsford's inspiration and the Hamelman/Bandel method in mind, along with a sponge technique for high rye breads that I picked up from Andy/ananda during my visit with him this past Summer, a formula started taking shape that I hoped would deliver the rich flavour of a slow baked rye bread with the added flavour factor of dried fruit. 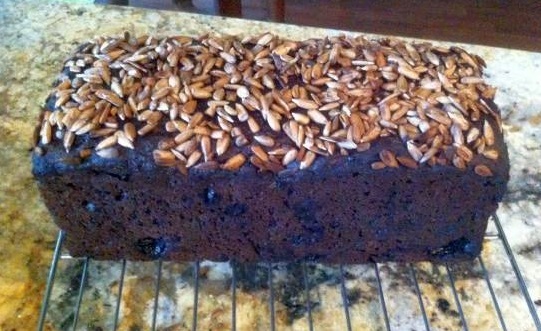 The percentage of raisin paste was increased from Ponsford's formula and sunflower seeds were added to the mix, as well as to top the loaf with. At the last minute I decided to macerate the whole raisins in amber rum instead of water to try and squeeze more flavour into the mix and jazz it up a bit. When final mixing was complete, the dough/paste had a 40 minute bulk fermentation, then panned in a Pullman tin and on to a final rise of just around 2 hours. Total baking time was 13 hours, the first 4 hours of which were at relatively high temperatures starting at 400F and gradually descending to 340F where it stayed for 2 hours. Just before going to bed that night the temperature was dropped to 180F and the Pullman tin (lid on) was placed on a broiling rack over a shallow roasting pan partially filled with hot water. Then a deep roasting pan was placed over top of that to hold as much steam in as possible and off to bed I went. One of the things I like the most about these extended bakes is the lovely aroma that greets you when you wake up the next morning. It's difficult to describe the scent accurately but think caramel and fruit, and for anyone who's baked a similar type of bread they'll have a good idea of what I'm talking about. Once I'd removed the pan from the oven and slid the lid back I could tell immediately that the loaf was well baked as the sides had receded from the pan, and the colour was very dark but with no hint of the odour from over-baking. The loaf slid straight out of the pan with out any coaxing as well, and that's usually a pretty good sign that things have gone they way they should have. Next came the part I like least about making these breads and that's the long waiting period for the crumb to set up before taking the first slice, in this case more than 50 hours. What I found when I made the first cut however was ample reward for having waited so long. 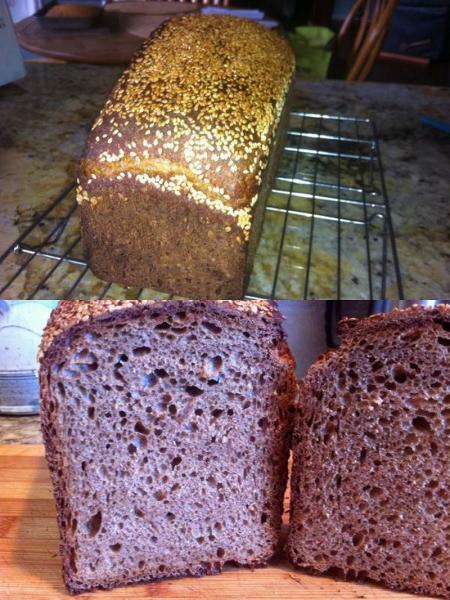 This is easily the best tasting pumpernickel style bread I've made to date, no exceptions. The loaf is moist, but thoroughly baked out, leaving no smear on the knife when it's sliced other than from the whole raisins in the mix. The crust yields easily to the knife and the bread slices like a firm cheese, allowing very thin slices to be taken. The sweet/sour balance leans slightly towards the sweet side because of the raisins and needs a bit more sour next time I make it, but as it is the flavour profile is deep and complex. The initial texture is smooth but then it has some bite to it from the whole grains and sunflower seeds, giving it a variety of sensations and flavours as it's eaten, making for a very satisfying eating experience. The only two accompaniments I've had this bread with so far have been butter and a sharp old cheddar, but it's every bit as enjoyable just on it's own, the flavour is that good. Apparently a benefit to using raisins in a bread mix that I found on the California Raisin Marketing Board's website is their ability to inhibit the growth of mold because they “contain a naturally occurring organic acid called propionic acid”. This is good to know, but somehow doubt this loaf will be around long enough for mold to ever become an issue. Cheers and Happy Thanksgiving to all of my fellow bread-heads in the USA. Enter desired loaf weight in yellow cell. Soak overnight, drain and simmer in enough fresh water to cover. there will be extra left over that can be frozen for later use. DDT 75F Bulk Ferment for 3 -4 hours at 75-78F. DDT 78-82F Bulk Ferment for 30-45 minutes. Final proof for 1.5-2.0 hrs. See Procedure for baking times and temperatures. Continuing along using sprouted spelt flour as a key ingredient for the last few bakes, this time I decided to up the grain percentage by adding a soaker of cracked spelt to the mix. I'd forgotten I'd even had the stuff until I re-discovered it rummaging around in my storage bin of various grains for something else. The soaker adds more texture and tooth to this loaf over previous spelt loaves I've made, and is a step in the right direction for increasing the overall flavour as well. The mix is a pretty basic levain type with the exception of an extended (3-4 hour) autolyse. The long autolyse is just an experiment on my part to see what, if any benefits can be had from it. 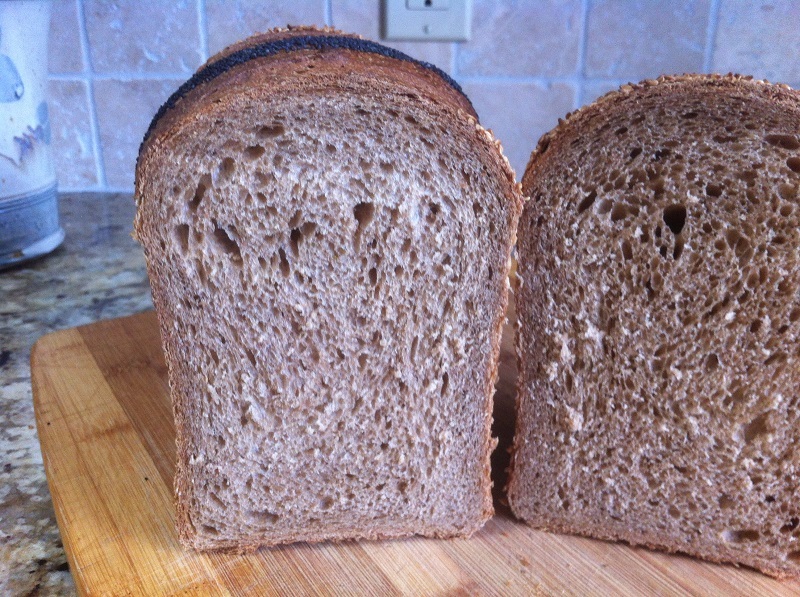 In terms of the crumb appearance it doesn't seem to have much impact, but the texture or mouth-feel is softer and creamier than similar type doughs made in the past using a much shorter autolyse period. 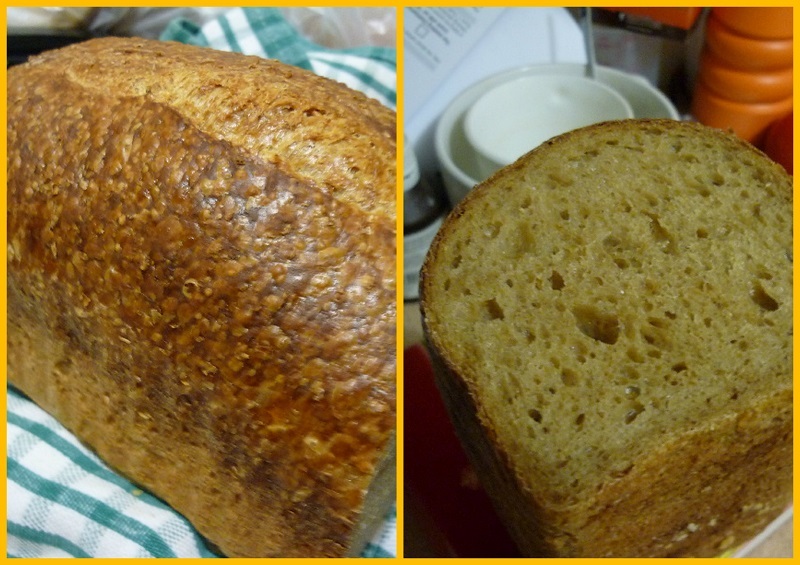 Spelt tends to have a drying effect on the crumb, even at a relatively low ratio such as this loaf has, and my intention was to see if an extended period of water absorption for both the AP and sprouted spelt flours would mitigate the effect to some degree. 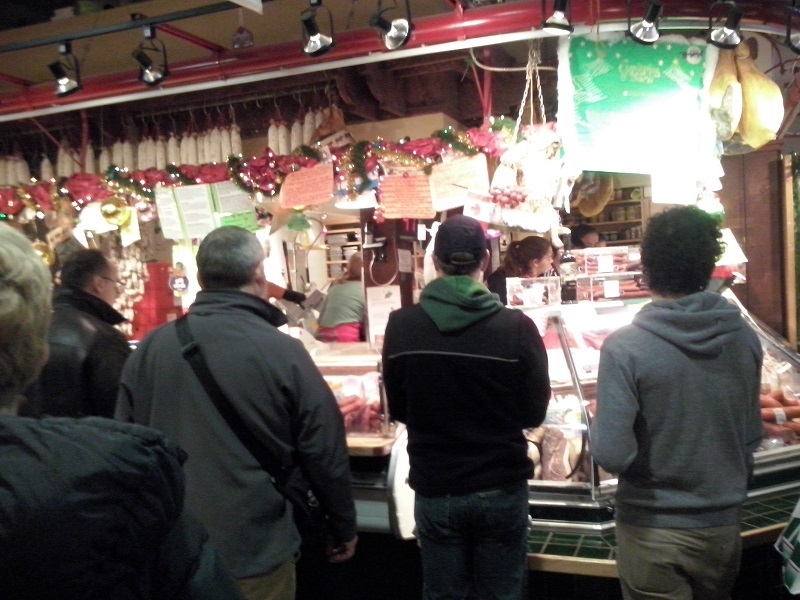 Too early to say right now, but I'll monitor the eating quality over the next few days and see how it fares. As far as flavour, the bread has a medium tang to it, surprising given the nearly 16 hours the levain fermented for, but the overall the flavour is reminiscent of Hamelman's Pain au levain, with lots of toasty, wheaty notes to it, supported by the rich flavour of the crunchy crust. There really aren't any changes I'd make to this formula for the next bake, it's just a good everyday loaf of bread to use for sandwiches, and for toasting. Having recently received a gift of lovely homemade preserves from a good friend, this particular bake couldn't have been more timely. Autolyse the flours using all the water for 3-4 hours pre final mix. Bulk ferment for -2-2.5hours @76-78 with 3 stretch and folds. Mix ingredients for the levain and ripen for 15-18 hours. Note: Whatever type of starter you have on hand can be used. The small percentage indicated in the formula will have little effect on the final flavour. Mix all the final ingredients except the salt until uniform, then add the salt and continue mixing on 1st speed, or by hand, until the dough is smooth. Mix on 2nd or 3rd depending on mixer speed until the dough has come together and clears the sides of the mixing bowl, or by hand, slap and fold the dough on the work surface for 5-6 minutes, or until a window pane can be achieved. Bulk ferment at 75F/23.8C for 2-2.5 hrs with stretch and folds every 30 minutes for the first 90 minutes. When the dough has fermented enough that it's gassy and has some spring to it, take it out of bulk ferment and round it gently, leaving it for 15 minutes to relax, covered with a bowl or sheet of plastic, cloth. Shape the dough as desired, being careful not to de-gas it, at the same time drawing the dough taut. Final proof at 75-78F/23.8-25.5C for 90 minutes with 65-75% humidity if possible. Proof to 10% less than double the original volume. Preheat the oven and baking stone to 485F/252C forty five minutes prior to baking and have steam system ready. When final proof is complete, slash as desired and load in the oven. Bake for 10 minutes, remove steam system and vent oven. Continue baking for 8 minutes, then rotate the loaf/loaves for even colouring. Remove parchment paper if using. Check colour, lower oven temp to 460F/237C and continue baking in 8 minute intervals till the crust shows good colour and the internal temperature is 206-210F/96-98C. Cool on a rack for 60 minutes, wrap in cloth, and let sit for 5-6 hours before slicing. The week before last my wife and I wandered up to one of our neighbourhood blackberry patches and picked almost a full bucket in 45 minutes, the brambles just teeming with beautiful, succulent, and free fruit for anyone who doesn't mind a scratch or two. While I was picking away I gave some thought to how I might use them, a tart perhaps? Hmm..., then I thought of the perfectly ripe and juicy nectarines we'd bought at the market earlier in the day and a visualization started to form in my head on how to combine the two fruits in a way to showcase their very different but complimentary flavours. This is what I came up with. From the bottom up the cake is composed of a layer of almond sponge cake (Joconde), Bavarian cream flavoured with a nectarine puree and slices of whole nectarine. Next is a disc of almond Daquoise (thick, baked meringue with almond meal) topped with whole blackberries and then filled with a white chocolate mousse flavoured with Pisa , an Italian liquor that has similarities to Amaretto but not as sweet. The deco for the cake is made from almond nougatine, in essence an almond brittle that can be poured and shaped in a variety of ways. For the top deco, triangles were cut from a disk of nougatine, then laid pointy end towards the cake center and supported at the back by glazed blackberries. In a bit of a rush to finish it and get it over to my son and daughter in-law's, while my 11 month old Grandson wasn't snoozing, I regret not finishing it properly with one or more glazed blackberries in the center. Oh well...next time. Below is a smaller version of the same cake that my daughter and I shared after her visit and dinner together later that same week. Rebecca loved the crunchy nougatine, and we both enjoyed the light texture of the cream fillings with the pure and natural flavour of the fruit and berries at their peak. I thought I should clear out some old bread photos from the last few months that I never got around to posting, along with some more recent ones as well. All but one were taken this year, most have crumb shots, but some don't. Many of these breads were made with a yeasted preferment of some kind, either a poolish, biga, or Pate Fermentee. My starter had been put to bed for a few weeks, mainly to change things up a bit and to play around on the other side of yeasted leavening for a while. To keep this post from being even longer than it already is I've opted to leave out detailed formulas and procedures, so think of it more as a photo update than what I'd typically post. This Margueritte was made for a family dinner late in 2012 when I was still deeply entrenched in baguette mode. Being a first for me, I was pleasantly surprised at how easy it was to shape compared to a baguette and that everyone at the table thought it looked cool. In a somewhat random chronological order, below are a few collages of various bakes done since the beginning of the year. 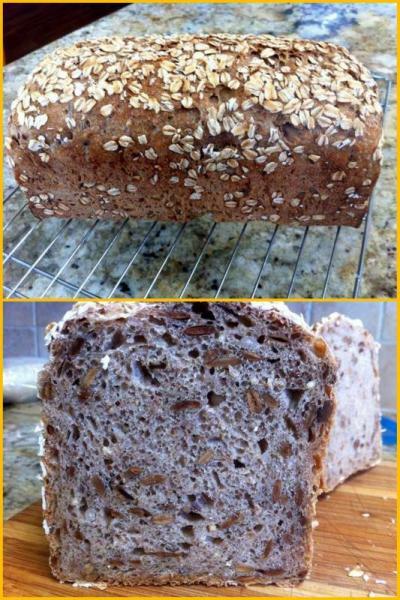 After weeks of eating nothing but baguettes, my need for something with whole grains and seeds was first and foremost on my mind when this loaf was made. 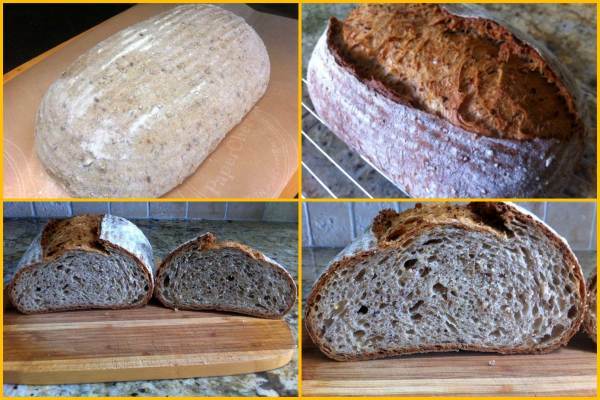 It seems to me it had rye, barley, whole wheat and a 7 grain soaker in it and was made with a Pate Fermentee. I do remember that it didn't last too long, starved as I was for a bread with flavour other than wheat. A very tasty loaf it was. Next up is a series of four Semolina loaves that were made with varying degrees of hydration, all of which were made with a yeasted preferment, either poolish or a biga that included a portion of the total semolina in the formula. By the time this next bread was made I'd taken my starter out of hibernation and revved it up to deliver some tang to the mix. It's a very similar formula to the one above made with Pate Fermentee and the 7 Grain Soaker, but has toasted sunflower and pumpkin seeds included as well. 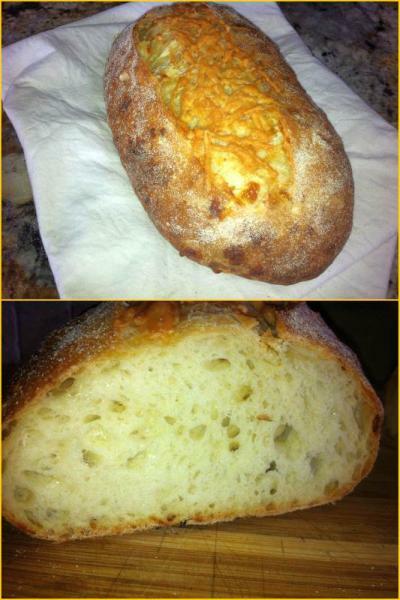 Two slightly different versions of this bread were made and I liked em both! 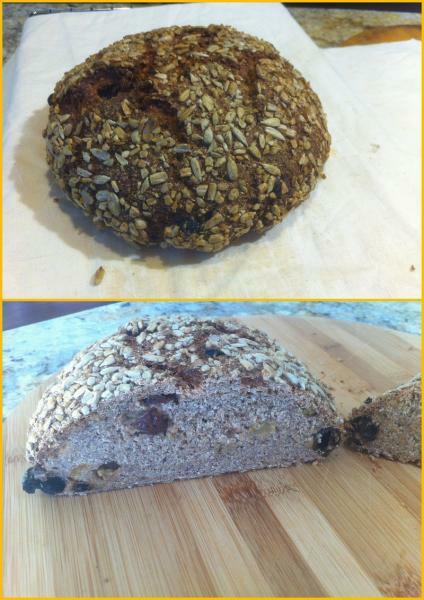 A Multigrain enriched sandwich loaf made the day before leaving for the UK and EU. A thank you! loaf for the nice lady who dog sits for us when we're away on vacation. 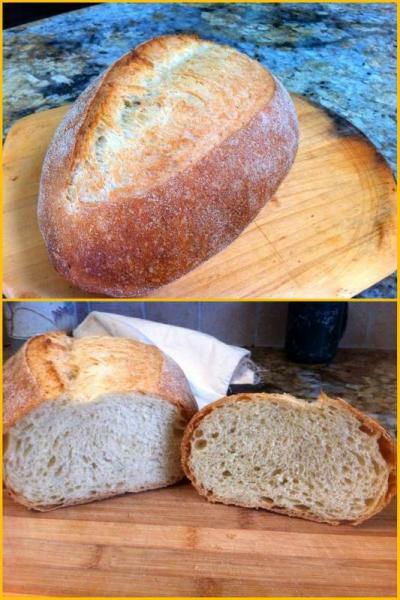 Bruschetta was the inspiration for the loaf below. A naturally leavened mix of polenta, AP flour, roasted/grilled corn and Parmigiano, with some roasted garlic paste thrown in for good measure, it sounded like a nice combination of flavours for grilling and topping with fresh tomatoes and herbs. 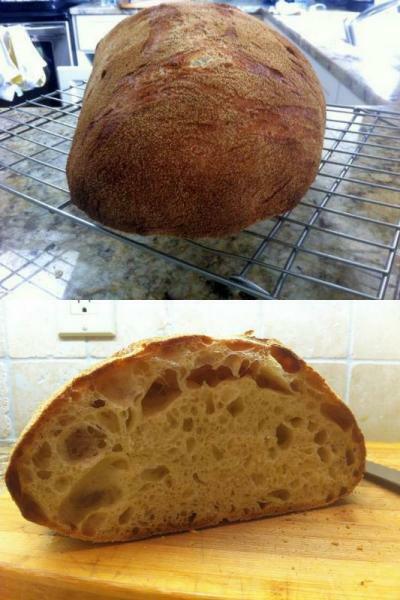 Made just a few weeks ago, this was easily the most difficult loaf to deal with of all the ones in this post. It's impossible for me to say what the true hydration of this loaf was because of the polenta. How much it actually contributed to the final mix I have no idea, but my best estimate for total hydration is somewhere between 80-85%, with wheat and cornmeal at 80 and 20 percent respectively. Much kneading, many, many slap and folds, andat least 4 stretch and folds were needed just to achieve some semblance of development in the dough. 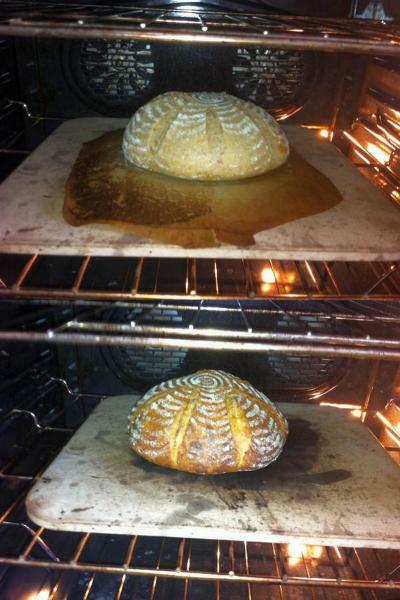 Let's just say expectations were not running high when I finally got it in the oven. 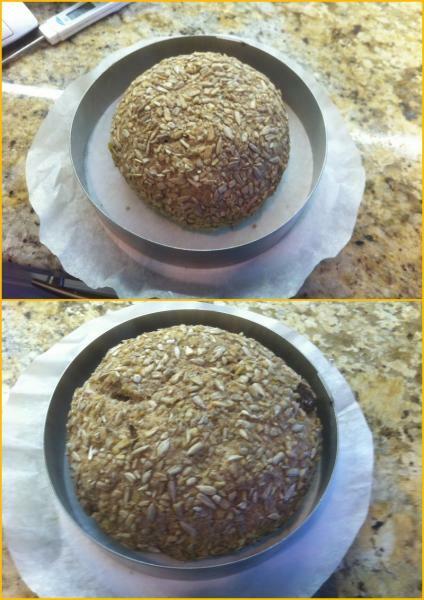 The result was not what one could call a lofty loaf by any means, but hey, waaay better than I ever expected. Far from being thrilled with it, I was relieved it was at least useable, and in fact it was well suited for grilling. Soft, with a nice chew and mild smoky flavour from the roasted corn, this bread has some definite potential for future mixes. 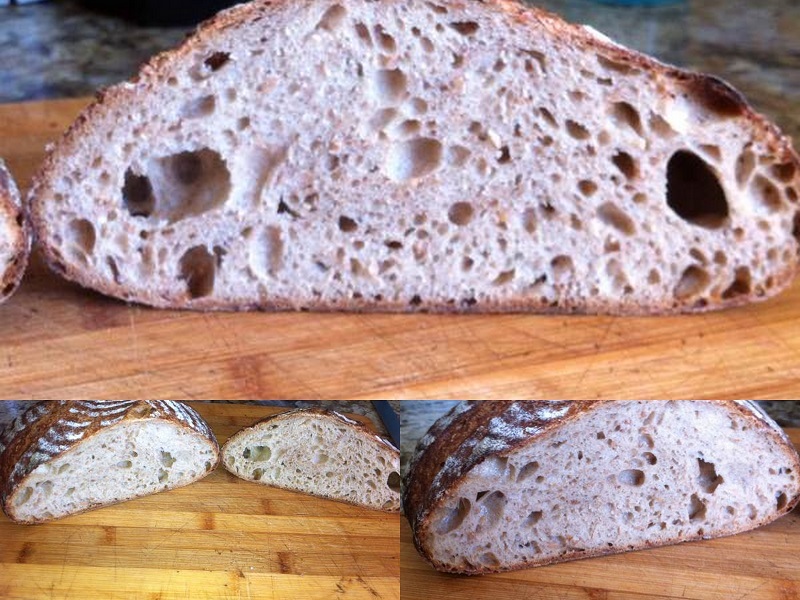 When I sent a photo of the crumb to my friend breadsong she encouraged me to post it, I'm sure because of the holey crumb. At the time I thought I'd wait and do a second bake to see if I could get something closer to what I'd had in mind. After a bit of deliberation I decided to include it in this photo post. It may not be the loaf I wanted at the time but perhaps someone would enjoy taking the basic polenta & flavour idea of the bread and bring it to it's full potential with their own interpretation. The last bread to show is one made with some organic rye flour I brought back from last months vacation in the Czech Republic. Since visiting the Czech Republic two years ago I've been trying to reproduce a bread I'd had there that had been served alongside a huge portion of delicious smoked ham from one of the street vendors. The flavour of that bread was OK, like a typical light deli rye with a hint of caraway, but it was the spongy texture of the crumb that appealed to me the most. I've made several attempts at duplicating it since then but the texture I've wanted has eluded me till now. 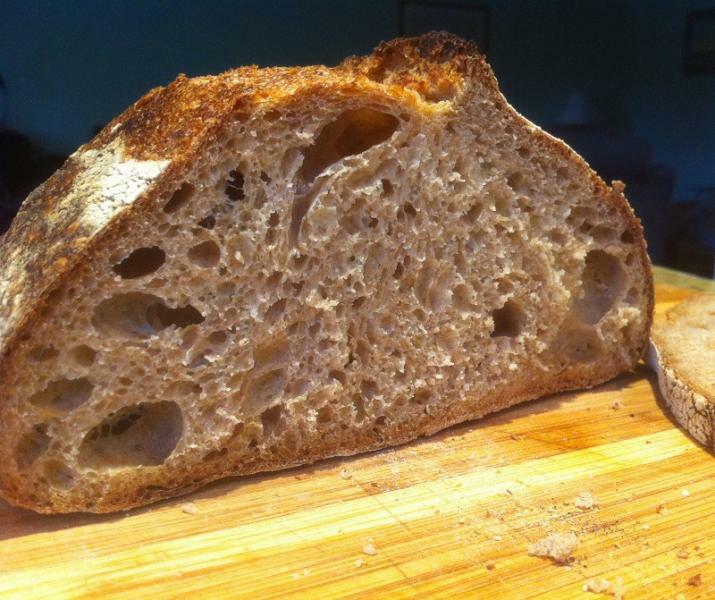 With the inclusion of a rye scald in this latest mix I finally have something I'm very happy with in terms of crumb texture and mouth-feel, with the added bonus of having a much better flavour than the vendor bread because of the 3 stage sour used in this mix. Now that I have the inside of the loaf the way I want it, I'll see if I can't shine up the outside a bit as well. After that it's just a matter of brining and smoking a fresh ham in the Prague style, and a cold Czech Pilsener to wash it all down with. That should tide me over till the next time I can return to that lovely city of spires. Although my wife Marie is the one who makes almost all of the desserts and sweet things around our house, sometimes I like to get into the pastry side of things as well, especially when our backyard berries are ready for picking. This year the raspberries arrived first, due to our early warm Spring temperatures here on Vancouver Island. Nothing inspires me more to roll up my sleeves and get busy making pastry, cakes and confections more than raspberries do. The tart below was made with a few of the berries from the first picking. A few scraps of frozen puff pastry, thawed, stacked and rolled out to a disk then cut to size. Baked blind, then baked briefly again with a flour thickened lemon curd in the center and topped with raspberries dusted with confectioner's sugar. 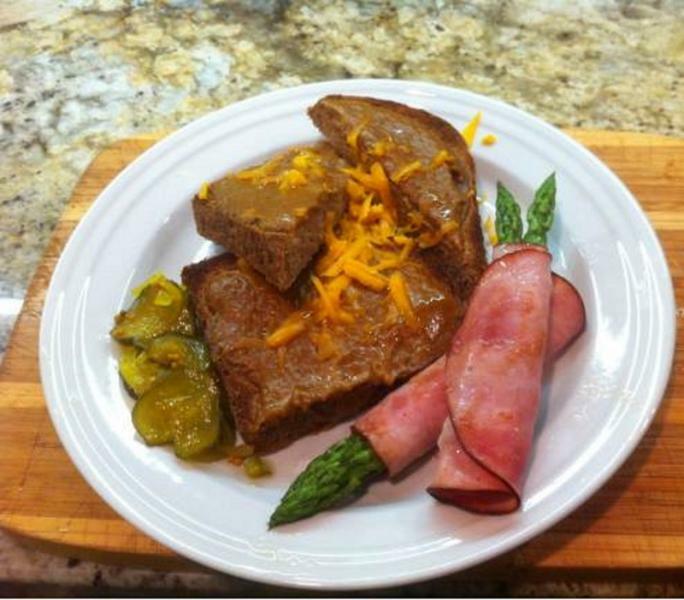 Quick, easy, delicious. The next one, a Lemon and Raspberry Charlotte Royale is a bit more involved. With all the various components and their separate procedures, I wont go through them all here. Briefly, it's made with a sheet of almond spongecake divided in four, spread with seedless raspberry jam on three of the cake pieces then all four stacked one on top of each other. The jam sandwich is divided in half then stacked together to make a total of eight layers. Freeze, then slice off 3/8” strips of the sandwich lengthwise to line a ring mold. 2 disks of biscuit culierre (ladyfinger batter) for the base and middle layer, a lemon curd flavoured mousse stabilized with gelatin to fill, and a raspberry gelee for part of the top decoration. Leave overnight in the fridge to set the mousse, then finished the next day with stabilized whipped cream piped around the edges and garnished with glazed fresh raspberries. The nice thing about making this type of cake is it can be done in stages over 2-3 days, or longer if you like. On the whole the cake is deceptively light and not overly sweet, the lemon mousse helping to balance out the sugar of the berries and jam. A delicious way to use some of the backyard harvest we've been waiting for all these months. Best of the Summer or Winter to TFL'rs around the world.